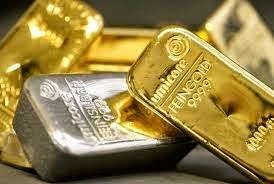 The government has now reduced the import tariff value on gold to $ 421 per 10 gm from $ 445 per 10 gm earlier .Also the import tariff value - the base price at invoicing - in case of silver has been reduced to $ 644 per kg from 694 per kg earlier as per the notification issued by the central board of excise and customs . The tariff is revised on a forthnightly basis after analysing the global price trends . Gold is the second largest import item for India after petroleum . The government had taken several measures to curb gold shipments to address the high current account deficit . These measures include raising import duty to 10 % on gold and also made it mandidatory for traders to export 20 % of the imported gold thus thereby creating a supply crunch in the domestic markets .